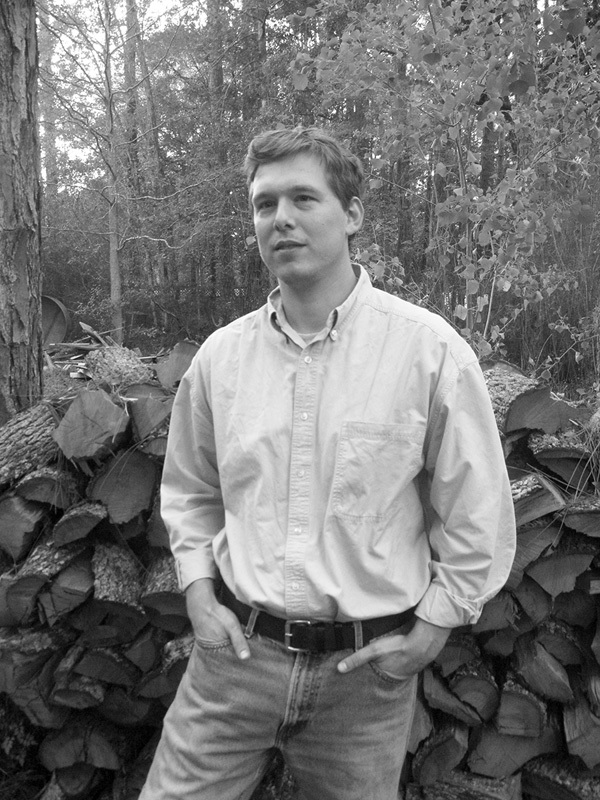 The award-winning Louisiana author talks about being a Southern writer, getting out from under Faulkner’s shadow and what he’s working on next. 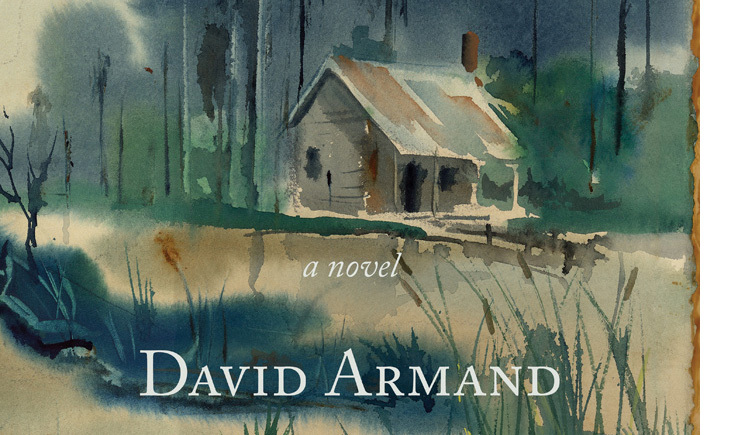 David Armand was born and raised in Louisiana. He grew up in the small village of Folsom, where he lived on 22 acres of pine-wooded land with lots of dogs and a few horses. He has worked as a telephone operator, a dishwasher, a drywall hanger, a draftsman and also as a press operator in a flag printing factory. He now teaches creative writing at Southeastern Louisiana University, where he also serves as associate editor for Louisiana Literature Press. In 2010, he won the George Garrett Fiction Prize for his first novel, The Pugilist’s Wife, which was published by Texas Review Press. 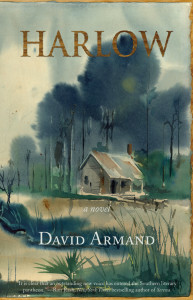 His second novel, Harlow, was also published by Texas Review Press. Armand now lives with his wife and two children and is at work on his third novel. Dixon Hearne, Louisiana native and fellow author, contacted Armand in between his speaking, reading and signing engagements for an interview. DH: You’re identified first and foremost as a Southern writer. Is that something you’re happy with? DA: Well, I have to say that it certainly doesn’t bother me to be identified as a Southern writer. People who are interested in that genre will have something to go off of when they see my books in a store or someplace, but I’d like to think that my work transcends being just Southern. I’d like to imagine readers in other parts of the country, the world even, being able to read and relate to my work on some level. I think Eudora Welty said that one place understood helps us to understand all places better. And I think that’s true, so if I can help my readers understand the “South” (and its denizens) as I see it, then perhaps they will be able to understand or see something about themselves and their place a little bit better as a result. DH: What is it about the South that inspires your storytelling? DA: Without a doubt and in one word: place. As far as I know, there is no place quite like the South where I grew up and still live. You can drive down the roads and literally feel the history and its presence in the people, the buildings, the small towns with their single blinking yellow caution lights swaying from an electrical line in the middle of a quiet intersection. You can see abandoned buildings with the logos of the factories or hotels they once were fading under the white sunlight that’s beating down on those brick facades. The trains pummeling through town, the sheriff with his cowboy boots and steaming coffee in a Styrofoam cup, leaning against the trunk of his cruiser, an old Chevrolet Caprice Classic. All of that’s still here. I often wonder what people from other parts of the country would think if they came to some of these small Southern towns that I’m talking about. They probably would think it’s all fiction until they got here, then it’s as though they went through a time warp or something. It’s magical to me. DH: It has been suggested that there is a renaissance of Southern literature afoot. What are your thoughts/perceptions as a young, emerging author? DA: It seems to me that there has always been a sort of morbid interest in Southern writers and their work. I say “morbid” because, for some folks, it’s almost like watching a train wreck. They just can’t believe it’s real, that these things happen. I went to a party not that long ago at an old antebellum home on St. Charles Avenue in New Orleans. The event was well-attended by authors and their wealthy white patrons, but what stood out to me is that all of the servers were black. A young black man about my age offered to take my coat when I walked inside, all the musicians were black, and the people with trays picking up napkins and refilling drinks were black. If anyone else noticed or was bothered by this wasn’t clear, but I found it profoundly troubling that this still exists. I mean, these servers were getting paid, don’t get me wrong, but it just seemed symbolic of something so much darker, more sinister underfoot. The fact that no one seemed to notice this absurd dichotomy was what really stood out to me. So if that is partly why there has always been such an interest in Southern literature, I’m not sure, but I think it has something to do with it. Our desperate clinging to the past, kind of like Emily Grierson [“A Rose for Emily”], who sleeps with her lover’s corpse after she kills him. She just can’t let go. Then the old timers who come to her funeral in their Confederate uniforms at the end. It’s sad. But as a young, emerging author, I hope I can take advantage of this broader interest to tell the truth as I know it and hopefully paint an accurate picture for my readers. And if this “renaissance” means that there are more readers for me to show this place to, then I’m happy (and feel somewhat obligated) to do so. DH: When did you start writing in earnest? Were your efforts encouraged at home, in school? DA: You know, as reluctant as I am to say it, I think I was born to be a writer. I have always paid close attention to the mundane details around me, people’s facial expressions, colloquialisms they used, sounds, smells. I suspect a lot of us do this, but I just had an obsession for these things ever since I can remember. Once I learned how to read, I read everything: street signs, logos on people’s shirts, you name it. My family would tell me to shut up I would do this so much. But it just felt magical to me, like I found a key to unlock something that I couldn’t understand before. This feeling of magic has never gone away, even to this day. In high school, I wrote songs and poems. I rewrote the ending to Kate Chopin’s The Awakening for a class assignment once and the teacher read it out loud to the class. She didn’t read anyone else’s. Mine was pretty offensive, but thankfully she didn’t say it was mine and neither did I.
DH: To which Southern writer are you most often compared? DA: I have been fortunate (or unfortunate, depending on your point-of-view) to be compared to William Faulkner, Flannery O’Connor, as well as Cormac McCarthy. These are three of my favorite writers, so on the one hand, it’s a great honor, but on the other, I wonder if these comparisons are detrimental to me. I mean, I think this is what Harold Bloom called the anxiety of influence, and I don’t want to work under the shadows of these great writers and simply be a copy of them. I would like to have my own distinct voice. I suspect that Cormac McCarthy literally moved from Tennessee to New Mexico (or wherever he lives now) just to get from underneath Faulkner’s indomitable shadow. DH: You’ve mentioned several Southern authors you admire in former interviews. Aside from their being Southern, what do they hold in common that attracts you? DA: Their obvious love of language and place and detail, simple as that. I think that there really aren’t any stories we can tell anymore that haven’t been told already by people like Homer, Sophocles, Aeschylus and Shakespeare, so all we can do is tell those same stories in a different way. Faulkner did that. Cormac McCarthy is doing that, and so is Quentin Tarantino — he’s a Southern writer, in my opinion, he was born in Tennessee — though in a different medium. The ones who seem to do this the best, in my opinion, are Southerners. Maybe there’s something in the water, as the saying goes, but I like to think that since things move a bit more slowly down here and the weather’s hotter, we tend to sit back and notice more. Time is perceived differently, hence Faulkner’s and Tarantino’s warping of time in their stories. The relishing of details like scraping the foam off the top of a mug of beer (and the sound that makes) or the way dust settles on a gravel road after a car or horse passes over it is something that other writers might glance over, but Southerners take great pride and satisfaction in these things. DH: So who were your influences growing up and in your formal schooling? DA: I didn’t know my biological father until I was much older, but my adoptive father and my biological grandfather and uncle had such a significant impact on me and who I am today, especially when it comes to being a father and a husband myself. At the time I didn’t realize it, but these three men were my greatest influences growing up. I also had the great fortune of having some really good teachers when I was in college. Particularly my writing teachers Jack Bedell, Norman German and Tim Gautreaux showed interest in my early efforts and all were more than generous with their time and support. DH: Is there an era in Southern history that particularly interests you? DA: Well, I think since all three of my novels take place in the 1980s, I would have to say that time period holds the most interest for me. Why? Because that’s when I was coming-of-age, so to speak. I was a young boy in the 1980s, and my perceptions of the world around me and the people in that world were being formed then. A friend of mine who happens to be very politically-minded once noted that my work all takes place in the eighties, and he said that this made sense since Reagan was president then and my characters are all down on their luck so it must be some sort of subversive political statement I’m making. I say absolutely not. It’s just that I grew up in the eighties, and while I consciously avoid any temporal pop culture references in my fiction, that particular decade is at the backdrop of my work. That may change in subsequent books, though, who knows? DH: Like many (if not most) writers, you’ve worked at a number of jobs. Do you use any of those experiences and/or the characters you met in your stories? DA: I absolutely do. I often think that my best education as a writer was the point between high school and college during which I took off of school for two years and worked a series of odd jobs, several of them which are listed in my author bio. During this time in my life when I wasn’t in school, my father was very ill and he was dying so my brother and I had to work to help make ends meet. 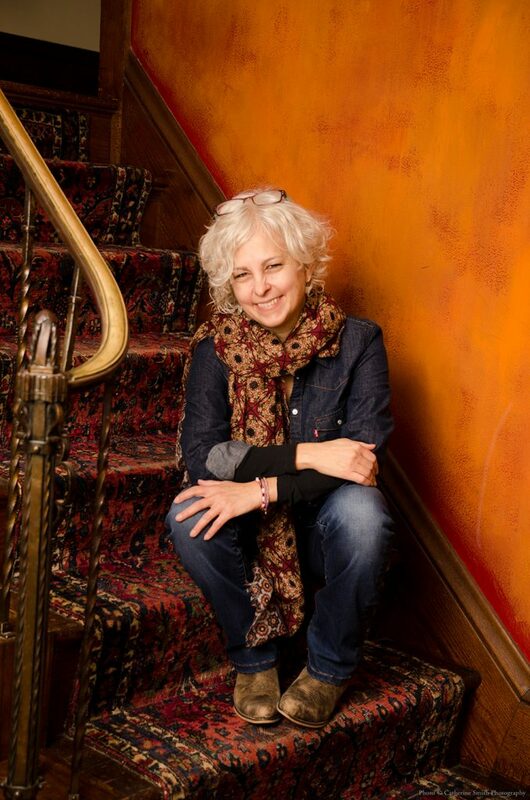 It was a tough time for our family, and I remember feeling very miserable and hopeless a lot of those times, but those experiences left an indelible mark on me as both a human being and as a writer. Working in a hot warehouse for eight hours straight for minimum wage or answering phones in the middle of the night and taking catalog orders from people who are stockpiling for the end of the world are experiences that make for great stories, if not authentic details that can be spread throughout a story or a novel or a poem. DH: What’s next for you? DA: Right now, I’m finishing up the last of a series of readings to promote Harlow. The novel’s been out for about six months now, so I think after this month, I’ll be close to done with promoting it in earnest. I’m also currently working on my third novel, which is called The Gorge. I’m getting close to finishing it and I hope I can get my publisher interested in it. The book takes place in the Bogue Chitto State Park just south of Franklinton, Louisiana, but it takes place in the mid-1980s, before the land was a state park. 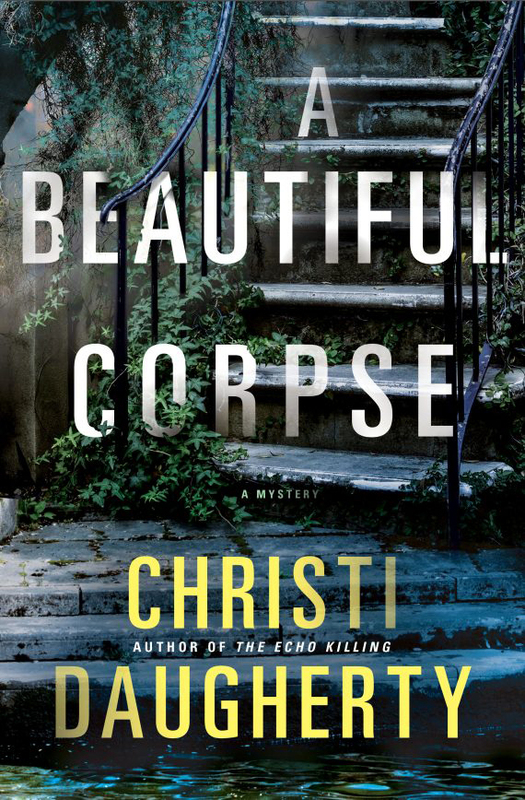 In the beginning of the book, a young man finds his girlfriend’s body in the brush near Fricke’s Cave, which is sort of a geographical anomaly in southeastern Louisiana. It’s a sandstone “cave” at the head of a giant gorge and when I first saw this place a few years ago, this persistent image of a body being discovered there just wouldn’t leave me alone. This is how all of my books start, you know, with this image that just won’t go away. This one was so strong that I started writing notes on some receipts that were in my car’s glove compartment as soon as my family and I left the park. The odd thing is that as I was working on this book, I started reading Dead Man Walking by Sister Helen Prejean and learned that a body actually was left in Fricke’s Cave back in the early eighties. The character that Sean Penn played in the film version of Dead Man Walking was actually an amalgamation of several killers, one of them Robert Lee Willie, who was accused, along with his friend Joe Vacarro, of killing a girl named Faith Hathaway and dumping her body in Fricke’s Cave. I don’t want my book to be a retelling of that story. Instead, The Gorge is a fictional story of a young man, Tuller, who finds his girlfriend’s body and then gets accused of her murder. Most of the book is told in flashbacks of Tuller’s and his girlfriend, Amber’s, relationship. 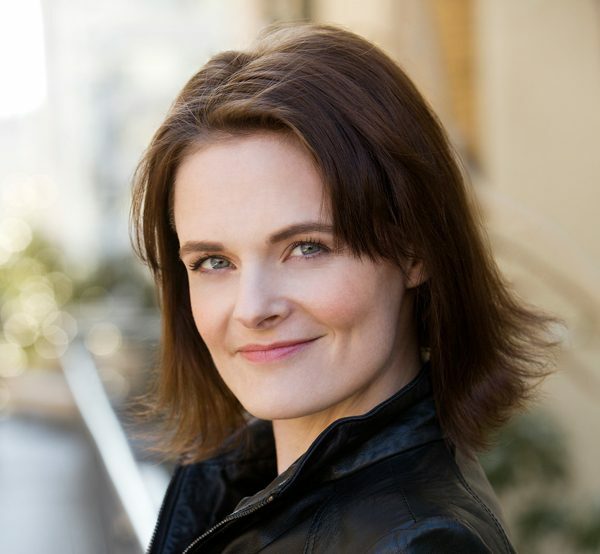 DH: Finally, what advice you might give to new writers? DA: Be persistent. Be patient. Be polite. Be professional — writing is a business just like any other, and artists need to get rid of that notion that there is something morally or ethically wrong about being a good business person and a good artist at the same time. We make art to share with others, to communicate, not to express ourselves. That’s what journals are for. Lastly, and I’ve mentioned this already, a good bit of faith doesn’t hurt anyone either. See David Armand at the Tennessee Williams/New Orleans Literary Festival Friday and the Jane Austen Literary Festival in Mandeville, Louisiana, on March 23. Dixon Hearne is the author of three short story collections and editor of several books. His fiction has been twice nominated for the Pushcart Prize, the Hemingway Foundation/PEN award and winner of several other awards. His poetry is nominated for the 2014 Spur Award. Other work can be found in Louisiana Literature, Big Muddy, Louisiana Review, Cream City Review, New Plains Review and many other magazines, journals and anthologies. His story, “Boogers, Haints, and Heathens,” appeared in Deep South Magazine. I can’t wait to read Harlow!